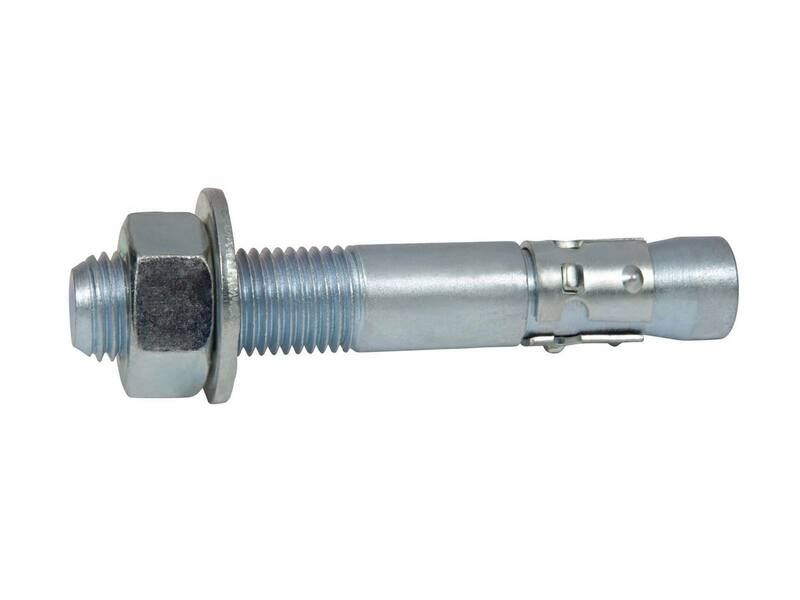 The American made 5/8" x 4-1/4" Zinc Plated Thunderstud Anchor are packaged 25 pcs per box, and should only be used in dry indoor applications. Every order is shipped the same day that it is received. Freight is free. The maximum fixture thickness or the maximum thickness of the material being fastened for a anchor is 7/8". This will ensure that the minimum embedment of 2-3/4" will be met. To be set properly in the concrete, the anchor must be torqued to between 76 - 90 ft./lbs.